I spend a lot of time in Safari which is my browser of choice. I would like to share the resources I've come across to improve the Safari browsing experience. Even though I've talked about a couple of these in bits and pieces before I wanted to create a single comprehensive post that covers Safari across the board; tips, helpful sites and some usage techniques. Before we begin there are some settings that you should check. Open the preferences (Command-,) within Safari. In the General section I have my browser set to open links from applications in a new tab in the current window. Though I do occasionally use multiple Safari windows it's pretty rare - I much prefer to keep it all in one window and leverage the tabs. Under the Tabs section I also have Command-Click open a link in a new tab and do not select tabs and windows as they are created. Once that's done you must close down Safari and restart it in order for this to take effect. Another thing I always turn on is the Status Bar (Command-/). When I hover over most links it will show me where the link leads and I get an idea of what's going on as pages load up their contents. I love tabs in browsers. It is far and away the best thing that's been added to the browsing experience since web browsers were initially introduced. I rarely have multiple browser windows open, preferring instead to use as many tabs as I can. If I conduct a search or am on a link rich web page I will often just use the middle mouse button—or Command-Click—and open every link that looks interesting. They populate in the background while I continue reading what's in front of me. Only after I'm done with the page I'm reading will I start to explore the subsequent tabs that were created. *Yes, I know it's not a Safari thing; works in any Cocoa application as well. I just use it most often in Safari. There are other shortcuts listed in Help but these are the ones I've found the most helpful. I use the Bookmark bar, which is just above the tab line, for my most common destinations. I always rename items after I've dragged them there to keep it as short and sweet as possible. I also create pull down folders on the Bookmark bar for each of the key areas I focus on: Technical resources, Mac Stuff, Family, Work and Development. In many cases I'll add sub folders under these as well. If you turned on the Develop menu in the menu bar there are a couple of interesting things you can do. I mentioned before that you can fake some web sites into thinking you are running a different browser. But if you are a web developer or interested in what's really happening behind the scenes of a web page you can access some powerful inspectors through the Develop menu. There are really only two add-in resources for Safari that I've found really helpful. By far the most helpful is 1Password. You can read my original blog post about it but I will say again it's a fantastic utility and I highly recommend it. While I covered all of the things I've learned about making the most out of Safari over the last four months I'm sure I missed something. If you have a specific tip that you think would help folks please add it in the comments below. I mentioned at the beginning that this would be a comprehensive list and I'm pretty confident that if I missed anything one of the many people that have been helping me will chime in and fill in the blanks. Hey any way that you can change the default page that opens with you start a new tab from a blank page to lets say google? If that could be changed I would switch from Firefox to Safari. Great story, now if you can only tell me how to fix the problem downloading .xls, .doc and .ppt files in safari (but not in firefox ...). I don't know about changing the default tabs, but if you just use Command-T, Command-Shift-H, or even just Command-T, Tab (Tab into google search bar), that will open google.com. I prefer it to open a blank page, since if I manually open a new page, there is usually a specific site I want to go to. 1) Command + 1 = First bookmark in bookmark bar (excluding folders), Command + 2 = 2nd, etc. in Terminal and relaunch Safari. And what problem downloading files? If the problem is that .doc, .xls, and .ppt files appear as text instead of downloading, it's because Safari listens to the MIME type before it listens to the file extension. If the website sends the file with a MIME type of text/plain rather than application/xls, application/excel, etc., Safari will render it as text. This isn't a problem with Safari, this is a problem with the website, which tells Safari that it is a text file, rather than an application document. Also, if you have that problem with files displaying rather than downloading, you can option-click on a link to download it (if it's a website, it will DL the HTML, it if is a jpeg, it will DL the JPEG, etc.). Or, if it is already loaded, just go to File -> Save and save it as a .xls or .ppt or whatever. In any case, if you try downloading from another website that has .ppt or .xls files, that has the MIME type properly setup, it should properly download the files. To create a new tab you can double-click in the space to the right of the last tab. ~ Alancito. @All: Thanks folks - some really helpful tips in there! Like Safari, it's based on WebKit and has some cool effects of its own. There's also a neat widget version. I doubt you'd want to make it your primary browser, but it's worth a look just to see what's out there. The quickest way back a page on my 12" Powerbook is to use the delete key (adding shift reverses direction). The Command key will do this in a new Tab. Using the arrow keys seems easier for moving across the tabs (using Cmd.-Shift) rather than the [ ] keys, especially when the arrows are already in use with NetNewsWire. Tabs can be dragged and reordered using the Cmd. key. The menu item Window/Move Tab to New Window is handy when a page is going to generate a rash of new tabs, but an easier method is to just drag it downwards, and dragging a page's favicon to the bookmark bar allows you to place it where you want it. Hi David. I've been enjoying your intelligent take on being a switcher. Here are a couple more keyboard shortcuts I use and did not see mentioned. Control Click a word and you get a small pop-up menu. Scroll (?) down to 'Look Up in Dictionary' and release. A small window will appear bearing the definition along with some options for further information. More resons to love Safari. I really like it. It is so simple and quick to use and your web inspector examples only make me look deeper into Safari's great potential. Dave, have you used Camino at all? It's by Mozilla and the FireFox equivalent for Mac. It is my browser of choice after playing around with it and Safari for awhile. It also uses WebKit and thus "inherits" its features (such as resizable input fields) and its speed. But as nice as Safari is, it offers next to no opportunities for customization. That is where iCab really excels. Among (many!) 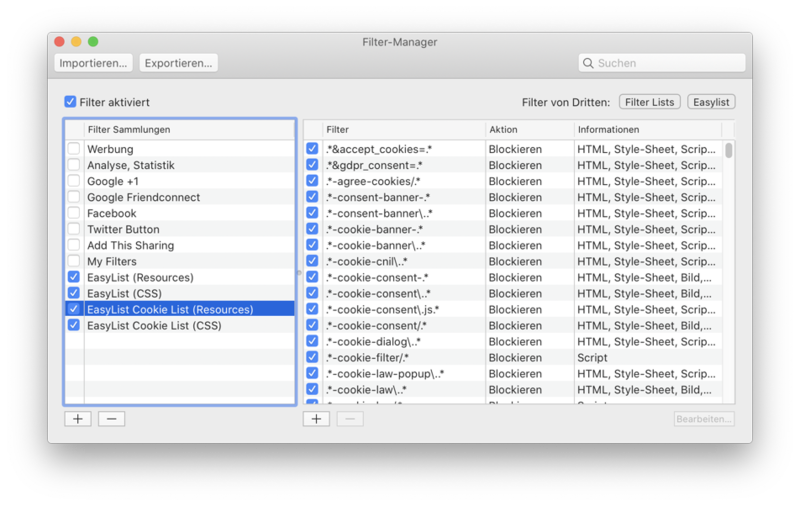 other things, it brings with it a user-configurable Filter Manager which lets you fine-tune its considerable range of settings to each individual site (or a range of sites) if you want. But for my general browsing needs iCab is far more convenient and far more practical for me. @Ping: Checking out iCab now - looks pretty cool. As always, it's a compromise between convenience for me, convenience for the web designer and security. And everybody will have different priorities in this matter. David, thanks for the tip on getting Gmail to open a link in a new tab. I use the Gmail server to read my emails when I'm traveling and this would be a nice feature to have. If I put that command in Terminal, how can I go back later and delete it if I should want to? I tend to stay away from terminal, as I'm afraid I'll mess something up. Thanks for any thoughts on this. I do use Terminal for maintenance as I turn my two Macs off in the evening, thus the built-in maintenance routines never get run otherwise. Open terminal, type in "sudo periodic daily weekly monthly" (w/o quotes), press return, enter admin password and press return (nothing seems to happen, but look at the CPU activity going on). When processes have finished and terminal prompt is displayed, type "exit" (w/o quotes) and press return to logout of Terminal. I do this routine about once each month. @SlimJim: Usually with simple commands like this one you are simply changing a setting from true to false so changing it back involves running the same command but substituting the word true for false. I just put up a post this morning about the impact of putting your Mac into sleep mode rather than powering it down. I've noticed that when my Macs wake from sleep they execute the automated maintenance scripts that normally would have run had they not been in sleep mode. Glad you are getting value from the blog! You might love this; you can use multi-touch pad of Mac Book Pro. I setup Rotate as Back/Forward, Swipe up as New Tab, Swipe down as Hide, Swipe right/left as tab movement. Shortcut is great, but less than touch!